Beading nylon is a popular choice, as it is non stretch and strong. We currently stock the well known brand Beadsmith. Beadsmith Beadstring - No stretch Nylon Size #4, sold per card of 20 metres. 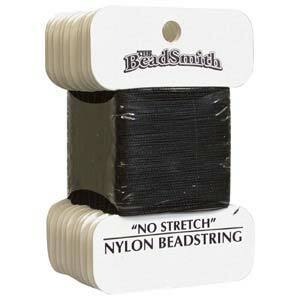 Beadsmith Beadstring - No stretch Nylon Size #4, sold per card of 20 metres. White. 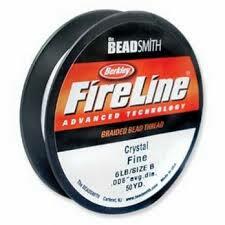 Fireline Crystal 6lb, 50yd Spool. Great for weaving projects.